Siem Reap, 22 January 2019 – Urgent action is needed to improve the sustainability of the world’s rice supply, in the face of mounting impacts of climate change and water scarcity on the world’s 144 million rice smallholder farmers. By adopting the Sustainable Rice Platform Standard for Sustainable Rice Cultivation, rice farmers can reduce their use of water and chemicals, boost incomes and protect the environment. 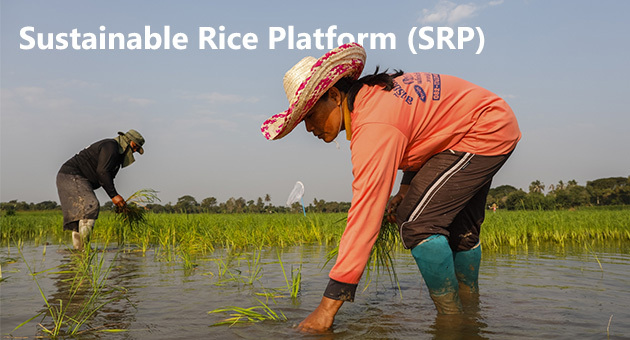 At the 8th Annual Plenary and General Assembly of the Sustainable Rice Platform (SRP), which opened today in Siem Reap, Cambodia, 150 delegates from SRP’s global membership across 24 countries around the world discussed emerging multi-stakeholder partnerships to transform the global rice sector. The event, co-organized by SRP, the Wildlife Conservation Society of Cambodia and the International Finance Corporation, was presided over by H.E. Veng Sakhon, Cambodia’s Minister of Agriculture, Forestry and Fisheries, with a keynote by Ms. Kundhavi Kadiresan, Assistant Director General and Regional Representative, FAO Regional Office for Asia and the Pacific, Speakers presented a range of initiatives to maintain rice yields and improve farmer livelihoods while reducing the environmental footprint and climate change impacts of rice production. As the staple for half the world’s population, rice faces a range of threats to sustainability. The Inter-Governmental Panel on Climate Change1 recently highlighted that yields and nutritional value of rice will be reduced by rising temperatures, impacting millions of small farmers. Yet rice is not only a victim of climate change- it also contributes to it. Rice accounts for 9% of total agricultural sector greenhouse gas emissions, and in 2014 rice methane emissions were estimated at 840 million tonnes2. Rice also uses 30-40% of the world’s fresh water. Climate-smart farm practices such as removal of rice straw from the field can reduce methane emissions by 50-70%. Other proven methods include alternative wetting and drying of rice fields, land leveling and site-specific nutrient management. However, farmers need training and support from the market and from policymakers to adopt these measures. 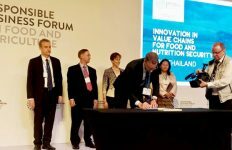 The conference featured the launch of version 2.0 of the SRP Standard for Sustainable Rice Production, the world’s first rice sustainability standard. In 2018, SRP partners from 24 countries reached almost 700,000 farmers and over 319,000 hectares of rice production. Two new tools- the SRP Performance Indicators v 2.0 and Assurance Programme were also launched at the meeting, providing retailers and the agri-food industry with a path towards sustainable rice procurement based on the SRP Standard. The conference highlighted a number of transformative partnerships in rice, with SRP at their core. Cambodia: In 2018 the International Finance Corporation (IFC), Mars Food and Battambang Rice Investment Co. Ltd. launched a partnership to promote sustainable development of Cambodia’s rice industry. Improving rice production and enhancing linkages with the global rice value chain will help Cambodia’s agri-sector expand market access, increase export value, and improve farmers’ livelihoods. Over the next 3 years about 9,000 smallholder farmers will benefit from exposure to sustainable farming practices, climate smart agriculture technologies, and financial literacy training. Adoption of the SRP Standard is expected to lead to a 20% increase in yields and a 25% boost in farmer income by 2025. 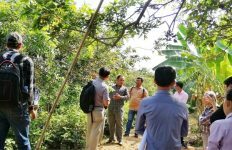 Cambodia: In 2016 Wildlife Conservation Society Cambodia (WCS) launched an SRP trial in collaboration with Sansom Mlup Prey (SMP), Battambang Rice Investment Company (Brico), Mars Food and Critical Ecosystem Partnership Fund (CEPF). Farmers in the Prolay commune have benefited from a shortened, integrated, supply chain, linking them with international buyers. Seed rates were reduced by introduction of high quality seeds. After 3 years, the 350 participating households produced 1,400MT of jasmine paddy in accordance with the SRP Standard. New partners are now joining, including IFAD and OXFAM, to address all aspects of sustainability and bring the project to scale. 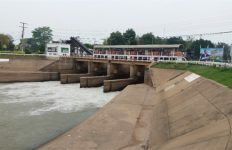 Pakistan/India: In Pakistan SRP partners with Helvetas, Mars Food, Rice Partners Ltd and WWF-Pakistan in implementing a CHF 6.6 million project on water management in rice and cotton, funded by the Swiss Agency for Development and Cooperation. This 3-year project, which links small farmers to export markets, has been extended for a second 3-year phase to cover 100,000 farmers. The project has seen significant reductions in use of water and agrochemicals, as well as higher incomes for rice farmers. sustainable best practices while enhancing farmer livelihoods. Sustainable Rice Landscapes Consortium (SRL): The SRL Consortium was established as a unique consortium led by UN Environment, UN Food and Agriculture Organization, SRP, World Business Council for Sustainable Development, International Rice Research Institute and GIZ to promote adoption of proven, landscape-level solutions for rice sustainability. The initiative will contribute to meeting national GHG reduction targets under the Paris Agreement, as well as restoring degraded landscapes and conserving biodiversity. SRL is now developing a $50-80 million proposal for a Global Impact Programme to be funded by the Global Environment Facility, targeting a number of Asian countries for national-level actions. Brands, retailers and supply chain actors: Developed countries consume 23 million metric tonnes (MMT) of rice every year4. Brands, retailers and supply chain actors can catalyze change by promoting consumer awareness and by committing to promoting and selling sustainable rice under the SRP Standard as a recognized benchmark. Financial institutions: Farmer participation in SRP can de-risk financial services for small farmers. Financial institutions can incentivize adoption of SRP through preferential rates for credit or financial products such as crop insurance for sustainable rice farmers. Governments should reduce tariffs and taxes for sustainable rice. The 2017 global tariff for rice (weighted by volume) is 32%. A 1% reduction in tariffs for sustainable rice wouldbe worth more than US$150 million per annum in savings for exporters, which could in turn be passed down to farmers to incentivize the switch to SRP rice. Research: Researchers in both public and private sectors can focus on field-level improvements to enhance climate change resilience, resource efficiency and nutritional value of rice, as well as in developing effective and practical GIS-enabled monitoring tools. Development partners/civil society: the critical linkages that connect rice with food and water security, resource use, biodiversity, livelihoods, and climate change mean that interventions in rice can make significant contributions to a number of the UN Sustainable Development Goals. Development partners and civil society organizations should mainstream rice sustainability into their programming strategies as levers for achieving national targets under the SDGs. The Sustainable Rice Platform is a multi-stakeholder alliance led by UN Environment, the International Rice Research Institute, GIZ and almost 100 institutional members in the public and private sectors as well as international organizations, NGOs and the international research community. The SRP Secretariat is hosted by UN Environment.